Update: The first Redstone 5 Windows 10 Build 17604 is now available for download for Skip ahead insiders. The new Redstone 5 build comes with bug fixes and improvements. In addition, Windows 10 Build 17604 ISO download links will be available later on our website. Check out more details below. Update 2: Windows 10 build 17604 ISO links are now available here. Emoji design updates: Made adjustments to the design of some of our emoji. Emoji search comes to more languages: Adding search support to more locales too! Now you can find an emoji by keyword in over 150 locales, including English (Great Britain), French (France), German (Germany), Spanish (Spain), and more. This will help you get the emoji you want easily and quickly. As a reminder, to bring up the Emoji Panel set focus to a text field and press WIN + (period) or WIN + (semicolon). UWP File System Access: UWP apps will be granted permission to have broad file system access. This capability will be granted on a per app basis by Microsoft. If a UWP app has the broad file system access restricted capability, you will receive a consent dialog prompting you to accept or deny the request. If at any time you change your mind about the decision, you can go to Settings > Privacy where you’ll find a new Settings page for File System Access. A new power scheme – Ultimate Performance: Introducing a new power policy called Ultimate Performance. Windows has developed key areas where performance and efficiency tradeoffs are made in the OS. Over time, we’ve amassed a collection of settings which allow the OS to quickly tune the behavior based on user preference, policy, underlying hardware or workload. This new policy builds on the current High-Performance policy, and it goes a step further to eliminate micro-latencies associated with fine-grained power management techniques. The Ultimate Performance Power plan is selectable either by an OEM on new systems or selectable by a user. To do so, you can go to Control Panel and navigate to Power Options under Hardware and Sound (you can also “run” Powercfg.cpl). Just like other power policies in Windows, the contents of the Ultimate Performance policy can be customized. Productivity-focused out of box applications: In the Windows 10 Fall Creators Update, the out of box experience for Windows 10 Pro for Workstations draws from the Pro edition of Windows 10. One area where this is noticeable is the suite of applications installed out of the box visible as tiles in the start menu. In the next release for Windows, you will see for Windows 10 Pro for Workstations productivity and enterprise-focused applications in place of consumer applications and games. This was one of the top feedback shared with us by our partners and users and we’re delivering this in our next update. 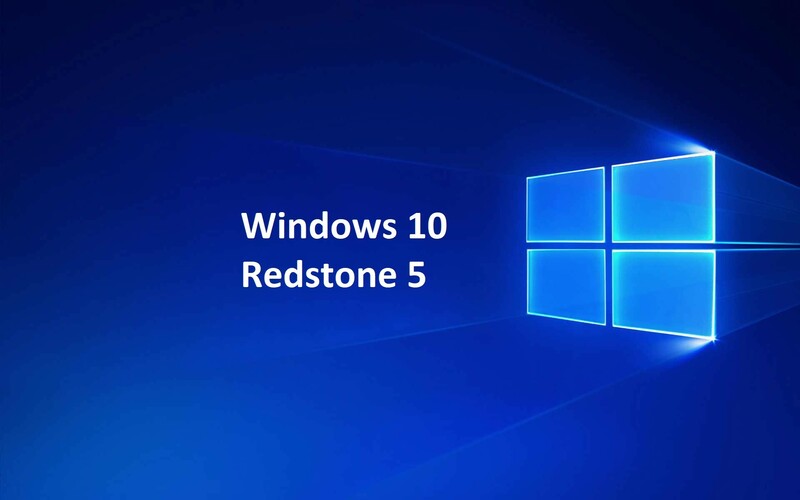 Original Story: As reported earlier, Microsoft has started compiling Windows 10 Redstone 5 update builds. The company is now testing Windows 10 build 17604 internally. This new Windows 10 Redstone 5 (v1809) build 17604 (10.0.17604.1000 rs_prerelease.180209-1422) was compiled on Fab 09, 2018. Next week, Windows Skip ahead insiders might get this build. If you’re looking for RS4 build, then Windows 10 preview build 17093 is now available for the Insiders. The latest insider preview build comes improvements for the Game bar, Diagnostic Data, Graphics improvements, Eye Control, Windows Security, Bluetooth, Microsoft Edge, Input, Ease of Access improvements and much more.